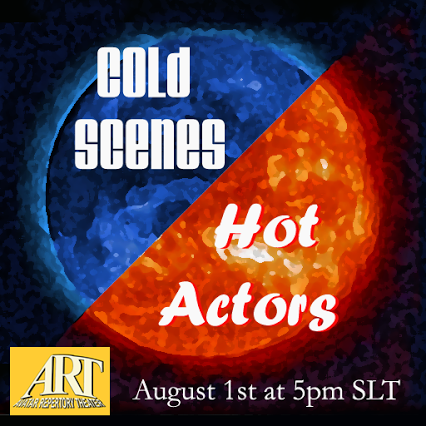 On Friday August 1st, 2014, commencing at 17:00 SLT, you are invited to join the audience at the Avatar Repertory Theatre (ART) for a special evening of entertainment, when the ART cast will be handling some cold scenes. No, I don’t mean they’ll be enacting scenes from Anna Karenina or will be wandering around the stage in balacavas and great coats. Doing a scene or audition “cold” means doing it without a prior rehearsal or reading. The outcome of performing this way can sometimes be unpredictable (and can land actors in a little bit of hot water when it comes to keeping up with things and the occasional need to ad-lib should things go a trifle awry! ); however, it also exercises the eye, mind and body when it comes to stagecraft. So it takes a hot group of actors to cast their fortune to the wind; and these we have in the form of Rowan Shamroy, Corwyn Allen, Ada Radius, Kayden Oconnell and Caledonia Skytower. So why not join them at the ART at 17:00 on Friday August 1st for what is surely going to be an excellent evening for all! For episode 21 of The Drax Files: World Makers, Drax turns his lens towards perhaps one of the most iconic names in Second Life design and publishing: Editorial Clarity, owner and operator of Love to Decorate (LTD) magazine and website. LTD is the go-to magazine on home and garden design, and has a deserved reputation for high quality articles and images focusing on the very best in SL design, and Editorial himself has a perfect eye for design and decorating, something which is stunningly reflected in his SL home designs (he admits to changing house fairly frequently just for the joy of decorating it and creating an ambience around it!). 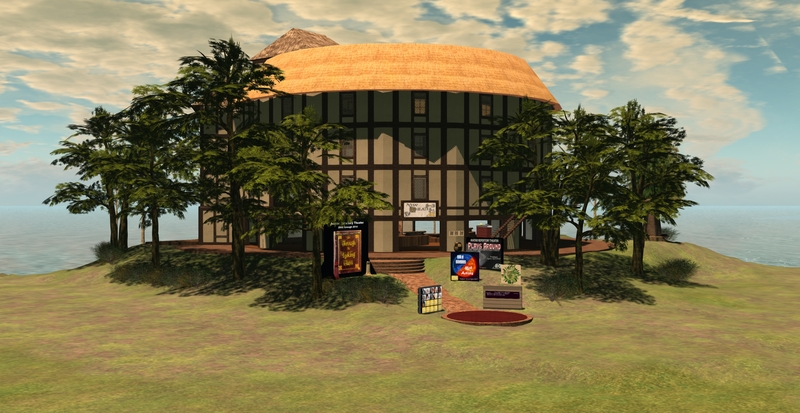 However, this isn’t a segment focusing solely on Editorial’s work in Second Life. While this acts as a springboard for the film, providing insight into the publication and the work that goes into it, this is very much a personal piece, focused on the way in which the digital and the physical can intertwine and lead to relationships which, while started in the digital, can cross the invisible divide into the physical and flourish in both. Since meeting, the two have gently and naturally extended their relationship, through an in-world wedding, to Skyping by voice to Skyping with video, right up to crossing back and forth over the Atlantic to spend time together in the physical world. Throughout it all, their shared passion for Second Life and design has furnished them with the foundations upon which they have been able to build a strong, trusting relationship, with both environments allowing them to fully and freely express themselves to one another. That Second Life can lead to lasting relationships in the physical world isn’t exactly unknown; just recently, television production company Back2back in the UK were still seeking couples who had first met on-line through communities such as Second Life for a Sky Living documentary, Happily Ever After. 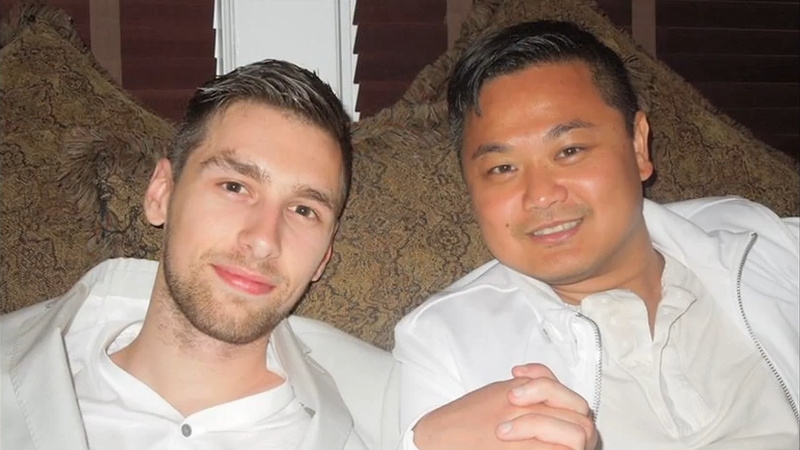 However, Editorial’s open description of his relationship with Rico demonstrates an a very simple, no-fuss way just how long distance relationships can not only be enjoyed more easily thanks to the use of technology, but can actually be as immersive and as engaging as anything shared in the physical world, allowing memories to be gained and shared of events and times together – as the images of their wedding so clearly demonstrate. In this there is something of a feedback loops as well – not only does the digital relationship help build and reinforce the relationship in the real world, the latter can also enrich the former. 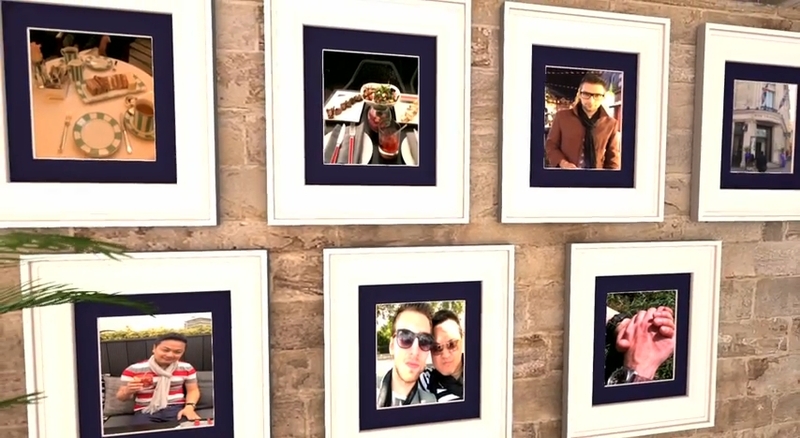 Witness the photos of Rico’s and Editorial’s time together in London, all beautifully framed on the wall of their in-world home; allowing them to again share in the memories – and look ahead to future visits together. Returning to LTD magazine for a moment, and taking a slight digression from the video. 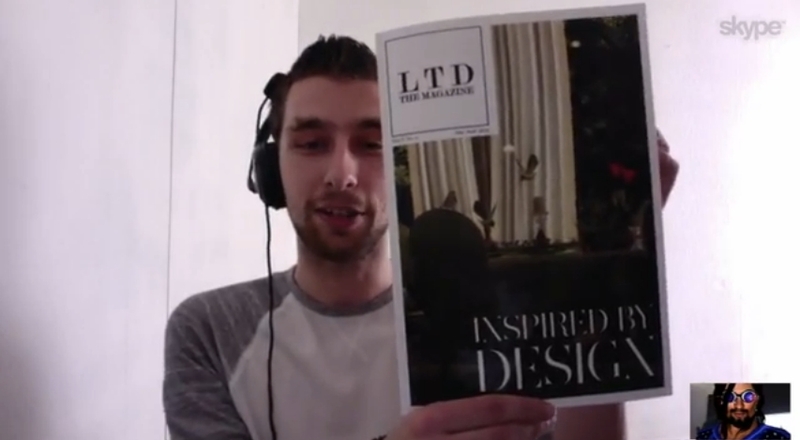 At the start of the segment, Editorial holds up a physical coffee-table edition of the magazine, and in doing so demonstrates the potential Second Life offers someone looking to expand or change their physical-world career. For example, LTD may be something of a labour of love, but in bringing it together, Editorial demonstrates so major skills which clearly have value in the physical world: graphics design, layout, editorial management, fiscal management, project management, and so on, and he has a finished, high-quality item which could – were he so minded – be presented to potential employer as proof positive of a strong track record in publishing. Obviously, not all businesses in SL are quite so portable when it comes to demonstrating talents and abilities in reference to careers and work in the physical world, but nevertheless, the skills we acquire through this virtual medium should never really be discounted, and if it is possible to develop a portfolio of achievements in SL with reference to a career or job opportunity, then it is something to be seriously considered and worked upon, and we shouldn’t necessarily be put off the idea of doing so on account of SL’s “poor” reputation. Leaving such diversions aside, and returning to the video, Editorial himself comments on another power of Second Life which, while it’s likely to have been the subject of studies and research, may not be something that’s really commented upon in day-to-day discussions about the platform – and is likely not even considered in media coverage; and that is its power to help us grow as individuals. And when it comes to understanding oneself, and facing the world openly, there can perhaps be no greater testament to the positive impact second Life can have on a person’s life than that. There were no RC deployments. The Zipper viewer, offering a faster install, reappeared on Wednesday July 30th, after vanishing from the Alternate Viewers wiki page in May. There are apparently an issue with the XUI Preview Tool being broken, which has now been resolved. The new version of the viewer – 3.7.13.292263 – appeared as a release candidate in the release viewer channel, rather than a project viewer, where it resides with the group ban viewer and the library refresh viewer, both of which were updated in week 30, are likely the strongest candidates for promotion as the next de facto release viewer. Testing of on-going group chat updates took place during the Server Beta meeting on Thursday July 31st. As noted in a previous report, one of the major causes of issues with group chat lies not with the actual messages being sent back and forth, but rather as the chat server tracks who in online or not. The server maintains a list of who is online and in the group chat at a given moment, and is constantly updating the list as people join / leave the session; these updates are then sent to everyone else still active in the group, which interferes with the sending / receiving of actual messages. Not only does this impact the sending / receiving of chat messages within the group, it can also impact other group chat sessions which are running on the same back-end server, as they are being starved of resources. The code being tested on July 31st had been set to delay the sending of these updates from the server in order to see if it improves the throughput of actual messages. The downside of this is that the member list updates are somewhat delayed; however, this would seem to be a small price to pay in order for an increase in the reliability of messages actually getting through the system. As it is, the delay is configurable, so Simon was gathering data to see how the updated code works in terms of people joining / leaving chat sessions and sending messages. The results are liable to be known next week. One possible future option for group chat is for people to be offered the ability to opt-in or out of receiving group chats until such time as they join a group chat (some TPVs already have an option to disable group chats until such time as you opt to join them).While this may help with the “I’m here!” messages sent to all groups on log-in, and which exacerbate the problem somewhat (again as described in the update linked-to above), such an approach is not seen as optimal, as it is possible users won’t change their behaviour, but will simply opt-in to all group chat sessions anyway. BUG-6736 is a feature request for the updating or removal of the current limit on the distance at which objects can be linked (see linkablility rules). The advantage in increasing the limit is that it could allow for bigger builds (in terms of footprint) without having to rely on scripted rezzing systems. 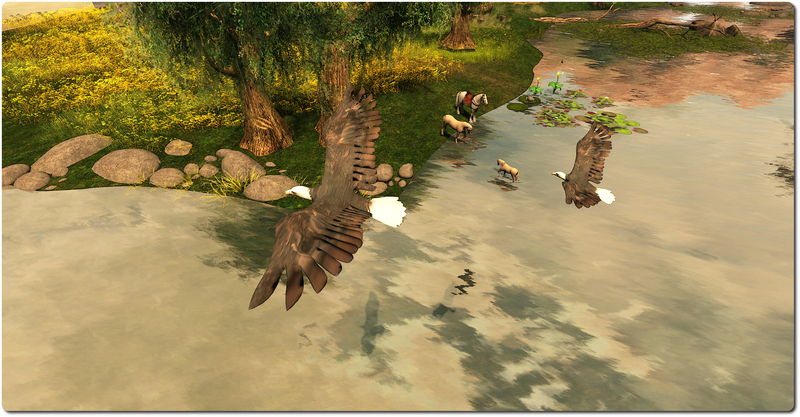 A problem here is the if increased, there is a risk that the ability to link objects over greater distances might cause issues were said distances are close to or exceed the draw distance / interest list distance. Responding to this, Simon said, “Yeah, that’s the kind of thing that can get confusing, you won’t see what you expect because the root might be farther away than your draw distance … That said, I understand the builder desire to make larger parts, but those limits are there because it can conflict with the interest list logic about your updates.” As such, it would seem unlikely that there will be much in the way of change to the linkability limit.